Long fascinated with making art from the colors and patterns of everday objects, designer Michelle Smith has documented her observations since she was a teenager exploring rural back roads with her camera and sketchbook. These days she incorporates pieces of these types of found images into her multimedia textile and pattern designs: industrial machines juxtaposed with rural landscapes, the blur of colors that happens when you take a photo into the light, the lines and shapes of nature. The result is a distinctive, feminine, modern style that is showcased on items such as wooden clocks, fabrics, pillows and jewelry in her eponymous line of home and gift wares. In addition to her line of goods, Michelle is the founder of The Rock & Shop Market, an indoor fashion, art & music flea market featuring over 65 emerging, independent local and national designers selling their products plus live music by local performers. Started in 2004 and held annually since then, the market has developed into a thriving event in the style of Renegade Craft Fair that supports and celebrates the burgeoning indie arts scene in North Carolina's Triangle area and beyond. Passionate about local community, Michelle founded indieNC in 2005, an organization that highlights emerging artists in North Carolina through curated, artistic window displays in abandoned store fronts, workshops, an online boutique and blog. Michelle also works as a photographer and stylist and regularly contributes her artistic eye for colors, trends and design to a wide variety of projects. 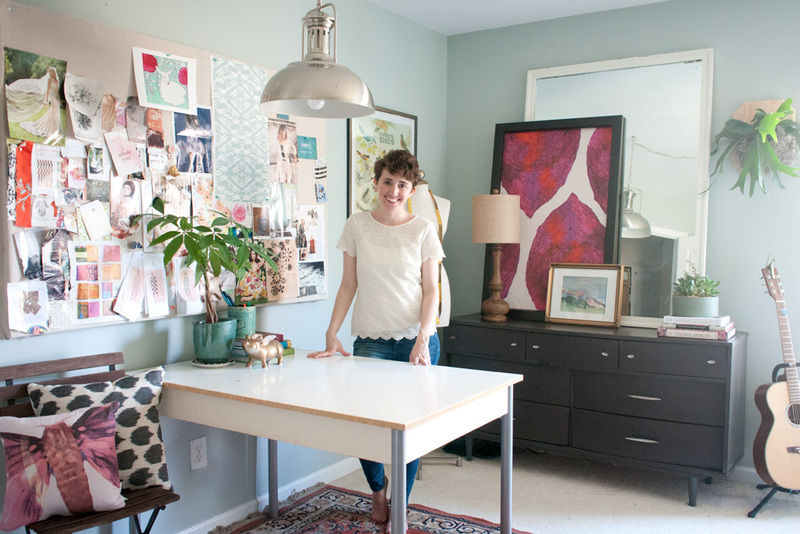 Her home style has been featured in numerous media outlets including Design*Sponge, Do It Yourself Magazine, and Etsy. When she is not working passionately on a project, she is balancing motherhood with a toddler, poring over design magazines and making home cooked meals with friends. To read more about the things that spark her interest, you can follow her inspiration blog, Feminine Modern.